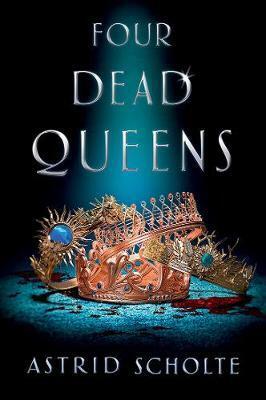 First up, the teens chatted about their impressions of the debut YA fantasy novel Four Dead Queens. Most of our members enjoyed the mystery and fantasy aspects of the story – they praised the captivating writing and the intriguing way the narrative would shift between different points of view – but felt a little dissatisfied with the ending. However, they’re excited about this fantasy debut by a local author and are hoping to attend the launch on 28 March at the Carlton store. The teens also shared what types of stories and elements they wanted to see more of in YA, which ranged from more complex characters to more stand-alones. You can read some of their individual responses below. In the 50th year of Readings, it seemed appropriate to ask our Managing Director, Mark Rubbo, to speak to the teens about his journey as a bookseller. We learnt how he cobbled together the money to buy Readings with friends and family back in 1976. At that time there were very few Australian authors and it was a personal mission of Mark’s to support and champion local talent. Alongside publishers such as McPhee Gribble, who first published Helen Garner and Tim Winton, Mark’s work came at a formative time for the Australian publishing industry, with many exciting new publishing houses and emerging local authors. Mark slowly expanded the empire; he had some wins and some defeats. The Port Melbourne and South Yarra stores sadly didn’t survive, but stores in Hawthorn, St Kilda and Malvern have all been a great success, as have the newest stores in the State Library, Doncaster and the specialist Kids shop in Carlton. Mark told our members that when Readings first began it was a Golden Age for bookselling, but he has had to fight off many challengers in the years since. When Borders opened a bookshop across the road from Readings Carlton, Mark was prepared for the fight of his life. By providing great customer service, hard-to-find titles, amazing author events and knowledgeable staff, Readings was able to rally against the American giant, which left its Australian operation in 2008. Readings and other independent booksellers have also fought off threats from e-books, internet shopping and price cutting from international suppliers. Mark said he feels the future is strong for books and bookselling. People still love the touch and feel of a physical book, and they love to support their local community and buy books where they get good recommendations and feel respected. What does our Teen Advisory Board want to see more of in YA?